Cuban Fufu is similar to Mofongo Stuffing, but the recipe calls for ripe plantains. If you don’t like green plantains, you can make this sweet plantain stuffing mashed with bacon and onion. This recipe makes a sweet yet savory turkey dressing or side dish. 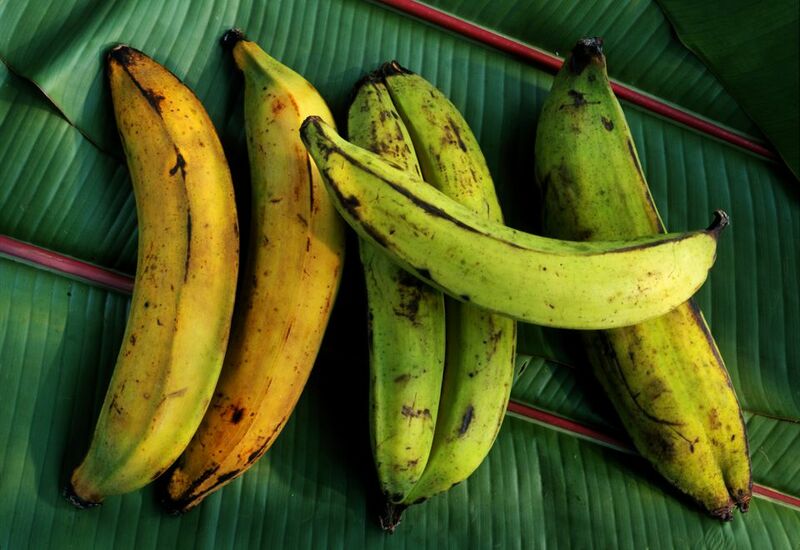 In a saucepan, cover plantains with lightly salted, cold water and bring to a boil. Cook until plantains are soft (about 10 minutes). Drain and mash the plantains. Set aside. In a frying pan, sauté the bacon until brown. Add the diced onion and chopped garlic. Continue sautéing for about 5 minutes. Remove the frying pan from the heat and drain excess bacon drippings. Leave about 2 tablespoons of grease in the pan. Gently fold in mashed plantains until thoroughly mixed. Transfer to a dish, cover and keep warm until ready to serve.